SANTA ROSA— What’s better than puppy breath and sweet puppy kisses? Well not much, but how about the next best thing -- the 2018 Canine Companions for Independence® Puppy Wall Calendar. It’s 12 months of adorable canines. And these puppies have a purpose, hoping to become life-changing assistance dogs for an adult, child or veteran with a disability. Plus, this heartwarming calendar includes $18 in coupons for Eukanuba dog food. Get your puppy calendar with $25 donation today at cci.org/calendar. 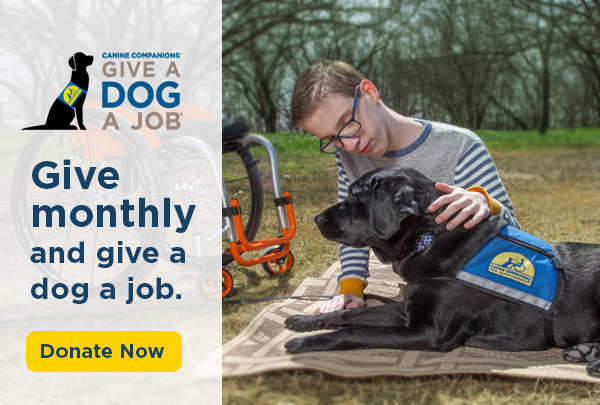 Canine Companions for Independence, the largest non-profit assistance dog provider in the nation, provides expertly trained assistance dogs free of charge to people with disabilities. Professionally trained to perform over 40 different commands such as pick up dropped items, open a door, turn on the light switch or alert a handler who is deaf or hard of hearing to important sounds in the environment. The result is a life full of increased independence and loving companionship. Looking for more great canine gift ideas? 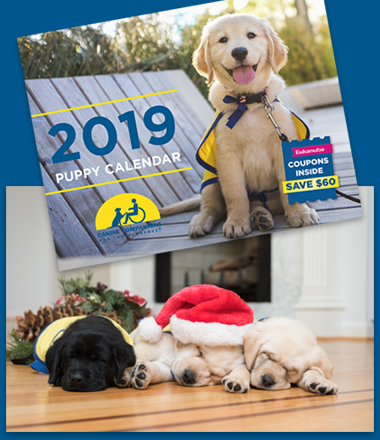 Visit the official Canine Companions online store for puppy holiday card packs, gifts for your special canine and hundreds of other products that all support placing assistance dogs to increase independence. Visit cci.org/shop today. Canine Companions has placed more than 5,500 assistance dogs since its founding in 1975 with children, adults, wounded military and professionals that work with people with disabilities. This holiday season, Give the Gift of Independence and Give a Dog a Job with a little something extra for under the tree. Non-profit Canine Companions for Independence provides highly-trained assistance dogs to children and adults with disabilities. Established in 1975, Canine Companions has six training centers across the country. Canine Companions is recognized worldwide for the excellence of its dogs, and the quality and longevity of the matches it makes between dogs and people. For more information, visit www.cci.org or call 1-800-572-BARK.